I was recently asked to create a card for a relative that had just gained his Canadian Citizenship. 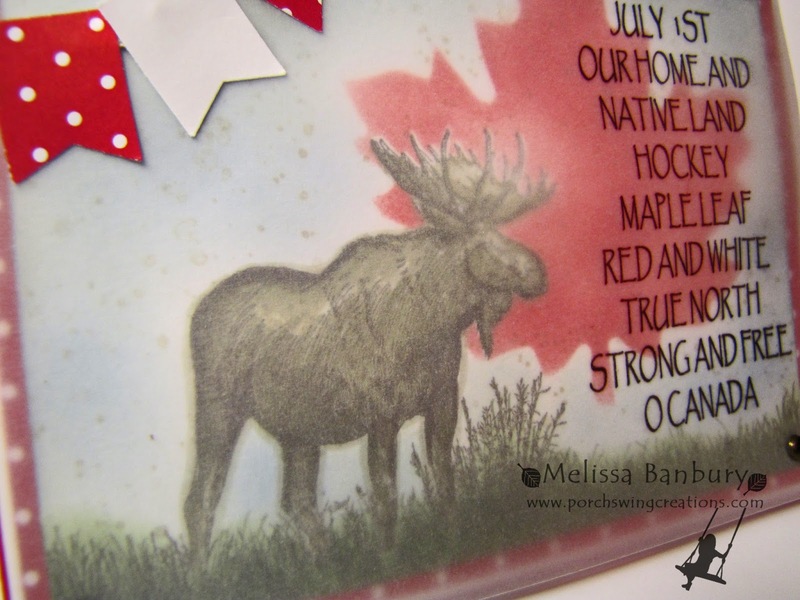 I wanted to find a way to depict all the great things about Canada, but was stumped as to how I was going to fit it all on a card front measuring only 4 1/4" x 5"! beautiful!!! makes a true statement! Beautiful card, Melissa! Wondering how you made the maple leaf - is it cardstock or did you sponge using the stencil from using the die? Thank you for sharing! It is wonderful. I love the velum layer!